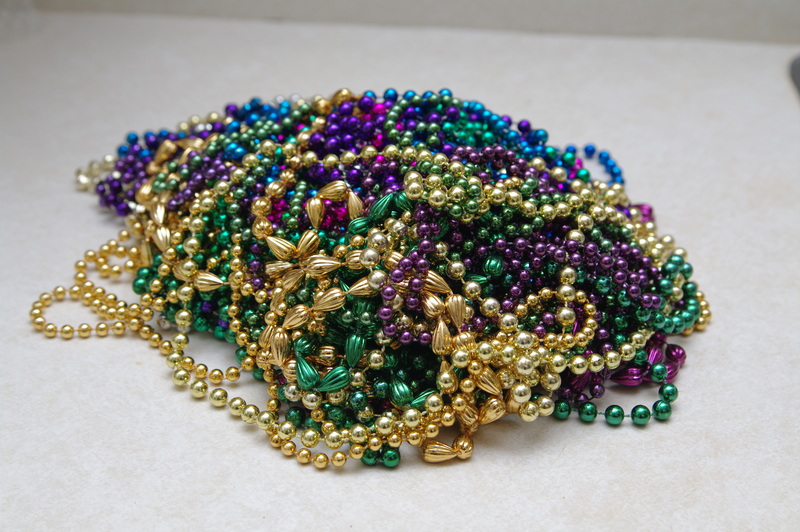 I wonder if it is actually possible for someone to visit New Orleans without leaving with at least one string of Mardi Gras beads? Even if you don’t actually visit the city during Mardi Gras, you can find these beads pretty much everywhere–gift shops, souvenir shops, even convenience stores. When I visited New Orleans back in 1997 for the ELCA Lutheran Youth Gathering, I couldn’t resist bringing back a few bead necklaces as a souvenir. Best part was, I didn’t even have to flash anyone to get them. Because really, that’s just dumb. For less than $5, I headed home with a bag full of purple, green, and gold necklaces purchased from a little shop on Bourbon Street. Only problem is, what do you do with them? If you’re not actually in New Orleans, it’s sort of weird to just be walking around wearing these necklaces. Well, unless wearing brightly-colored beaded necklaces is just your thing. And even then, it’s still a little weird. For awhile, I had them draped over my desk lamp and sitting on my desk for decoration. And I may have even wore them once as part of a Halloween costume. Other than that, these have just been sort of sitting around the taking up space for the last 15 years. 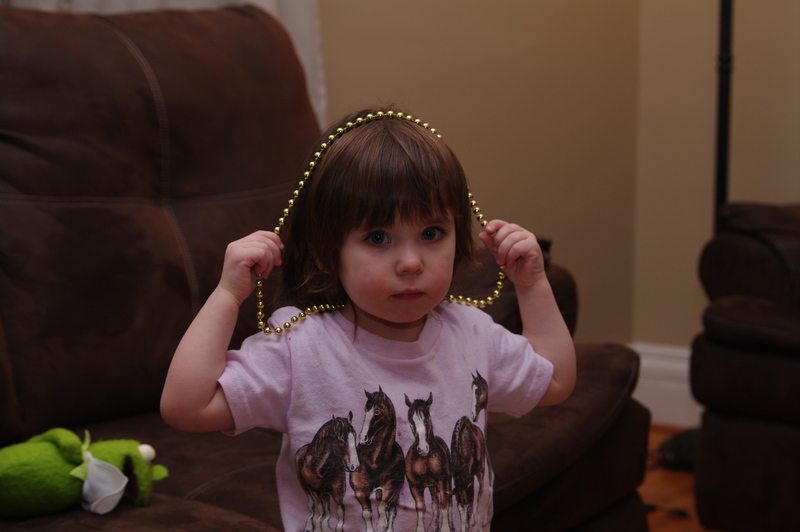 Of course, I have to save a few for Miss Cadence, since they make excellent accessories for playing dress up. The rest will be finding a new home.